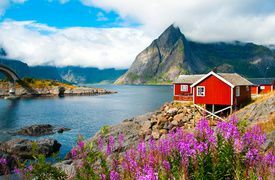 During the ice ages, vast glaciers gouged deep gorges into the landscape of Western Norway, which duly flooded with seawater, creating the natural wonders that are the modern day fjords. 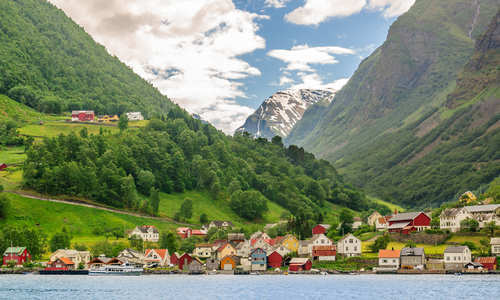 The historic town of Bergen is considered the ‘capital of the fjords’ and an excellent base from which to venture out to explore the coastal landscape. 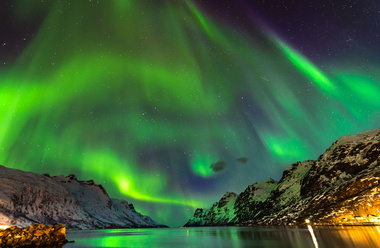 Geirangerfjord is amongst the most popular and frequently visited fjords. This short S-shaped scribble in the mountains has a large number of waterfalls tumbling down its sides. Set out in a kayak to explore the cliffs and surrounds more intimately or take a RIB safari and let them take you to the best vantage points. On land, climb above the hamlet of Geiranger at the head of the fjord for exceptional panoramic views. Sognefjord is the longest and deepest fjord in Norway, allowing salt water more than 200km inland from the sea and reaching depth of 1,308m. Cliffs rise above the water a further 1,000m making this a spectacular landscape to explore. 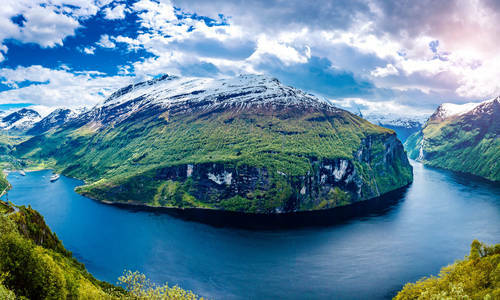 Hardangerfjord, the world’s third largest fjord, is close to Bergen. Celebrated for its size, it’s actually best known for the array of springtime colours that can be seen here as fruit trees bloom in a kaleidoscope of colours. 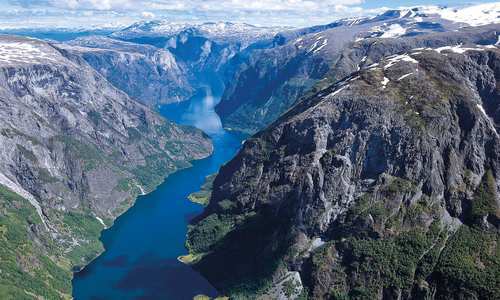 Other fjords of note include the breathtakingly beautiful Nordfjord that stretches from the Jostedalsbreen Glacier to the sea and the small Lysefjord, which is best seen from the legendary Pulpit Rock, whose sheer 600m cliffs plunge into the waters below. 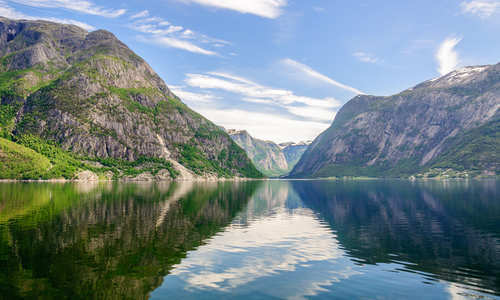 A great way to see the fjords is on a cruise; summer is the most popular time for fjord cruises, with spectacular views to be had of the scenery. Winter though means that the ink-black fjords contrast strongly with the brilliant glare of the looming snowy peaks while the waterfalls that cascade down the sheer sides are often frozen into columns of ice.